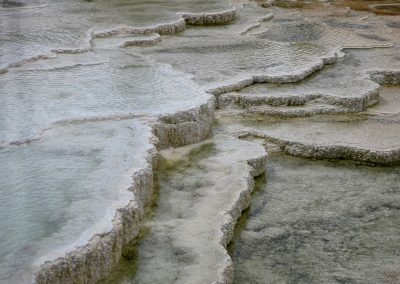 Layers of travertine are formed in small pools of mineral-laden water. 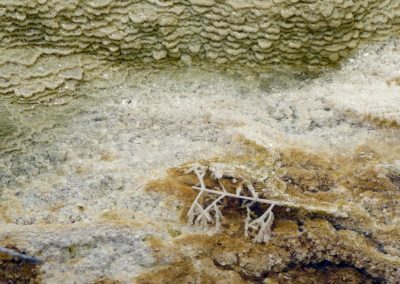 Bacteria that get trapped in the travertine create the lacy pattern that travertine is known for. When we imagine how natural stone forms, our minds wander to a primeval time in Earth’s past, or to a fiery underworld within the bowels of the planet. After all, rocks capture the history of the Earth and reveal its inner workings. Travertine is different. If you stand in the right place, you can watch it form right before your eyes. There aren’t too many places on Earth where you can watch a rock take shape in real time, but Yellowstone National Park is one of them. Mammoth Hot Springs is one of the first sights to greet visitors who enter the park from the north entrance. 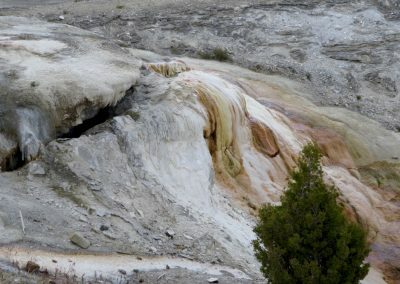 Mounds, ledges, and terraces of brightly colored travertine glisten in the sunshine, with ribbons of spring water flowing over the formations, adding layer upon layer of minerals. 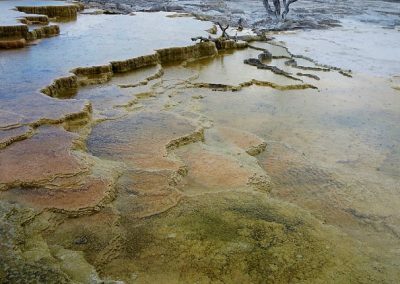 Luckily for us, boardwalks traverse the hot spring deposits, allowing for safe viewing amid a delightful array of steaming springs, multicolored pools, and fantastical mineral formations. Travertine is formed by calcium-rich spring water. 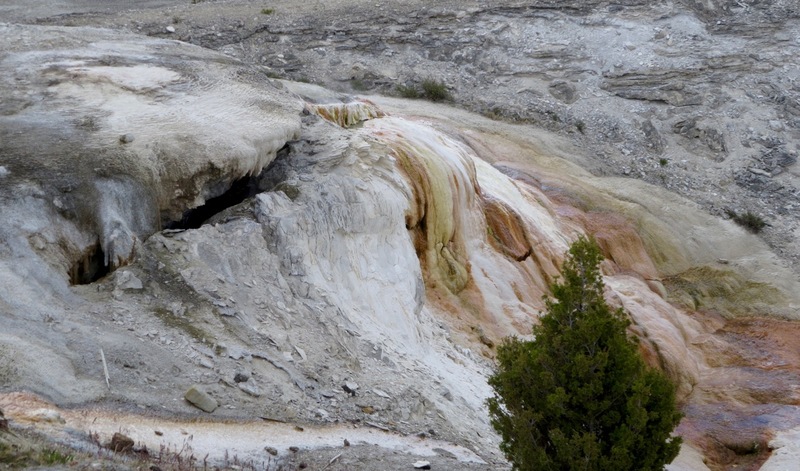 In Yellowstone, travertine results from a simple interaction of hot water, limestone, and a fault zone. The story begins with a vast, partially molten magma chamber that lurks about 5 miles underneath Yellowstone. 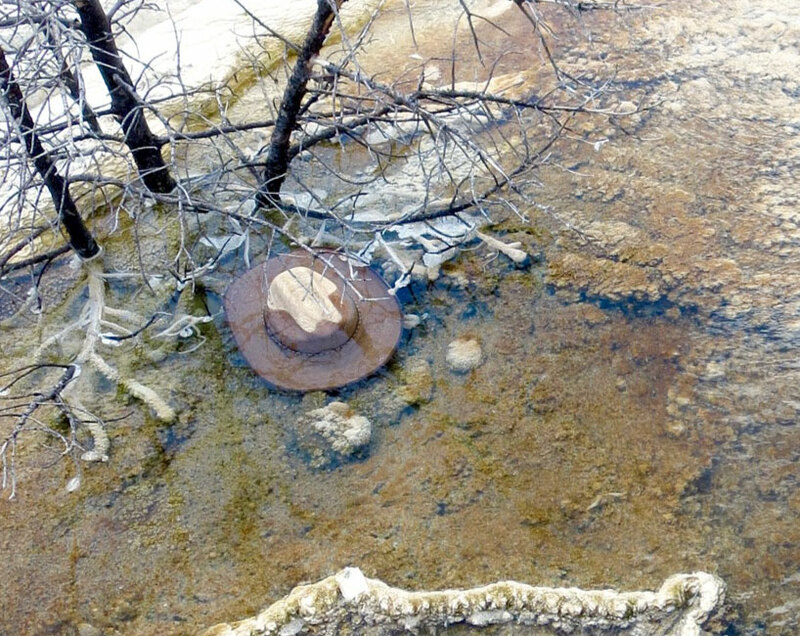 This magma is the source of all of Yellowstone’s past volcanic eruptions. Even during today’s period of volcanic quiescence, we’re reminded of this extraordinary subterranean heat by the abundance of hot springs, geysers, fumaroles, and my personal favorite: boiling mud pots. These features are caused by groundwater flowing through hot rock. Filamentous bacteria thrive in the spring water and create smooth drapes of travertine. The bacteria become entombed in the stone, and when they decompose they leave behind the void spaces that make travertine so intricate and interesting. Underneath Mammoth, heated groundwater flows through layers of limestone. The hot water dissolves some of the limestone. The mineral-rich water then travels to the surface along a fault zone. Hot water emerges from the mouth of the spring, and precipitates calcite (calcium carbonate). Limestone and travertine are both made of calcite, but they form in different ways. (Limestone forms in marine environments, and is made out of the remains of seashells, corals, and calcite that is dissolved in the seawater.) 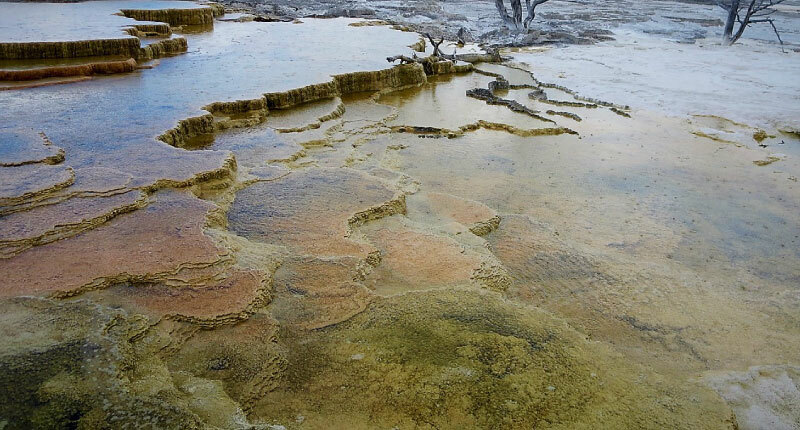 The hot spring is dissolving away some of the underlying limestone and re-depositing it as travertine. Geologic recycling, if you will. Part of the fun of watching rocks form in real time is that it sheds light on how rocks formed in the ancient past. A fundamental rule of geology is “the present is the key to the past.” A process happening today tells you something about how it happened long ago. In the case of travertine, a myriad of different textures and patterns can be seen while wandering the springs and pools. The variations are caused by changes in the water flow rate, the temperature of the water, and the types of microorganisms present. 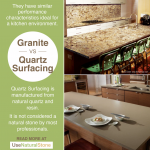 On average, the active springs in Mammoth add an astonishing 8-inch thickness of new stone every year. Everything in the water gets coated in calcite, creating instant fossils. 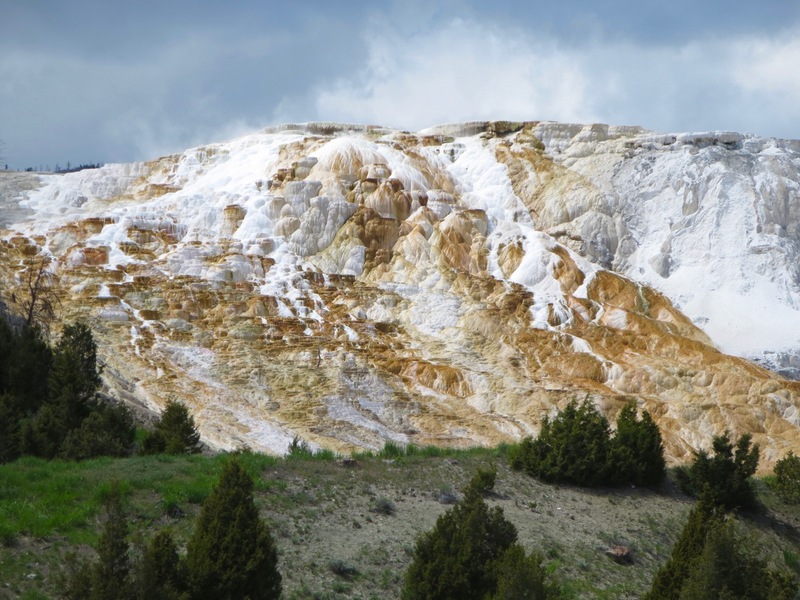 The travertine terraces at Mammoth range in color from stark white to rich hues of gold, green, orange, and brown. The colors are from heat-loving bacteria that thrive in the hot water. Active springs bear the colorful signatures of bacteria, while recent but inactive sections of the spring are pure white, since they no longer have microorganisms to add color. As the travertine ages, it turns grey. One can judge the age of different formations by looking at the color. The darker the grey, the older it is. 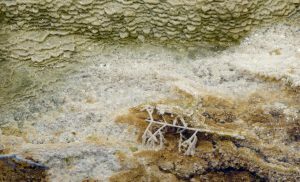 Anything that falls into the hot spring pools becomes coated in calcite. 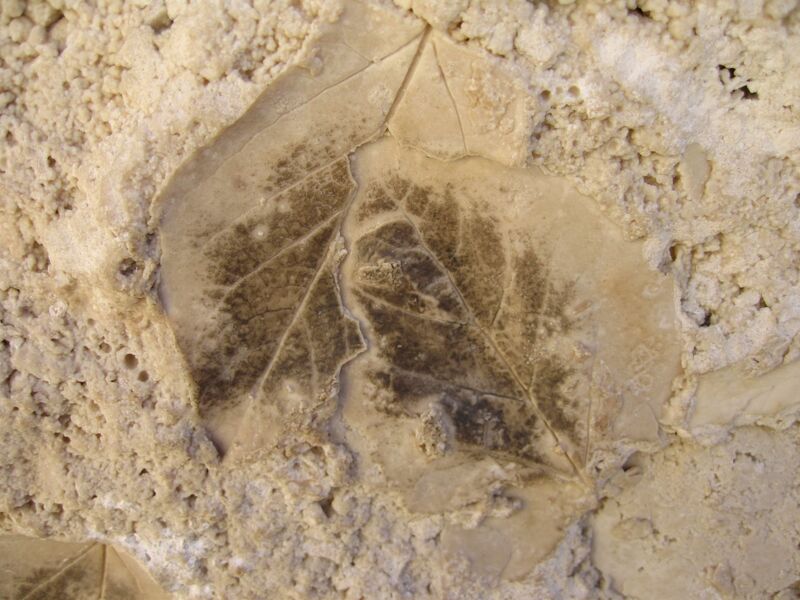 Leaves, sticks, and even feathers turn into instant fossils. I can’t help but wonder how many sunglasses and baseball hats have also become fossilized tributes to a summer vacation mishap, entombed for eternity within the travertine layers. 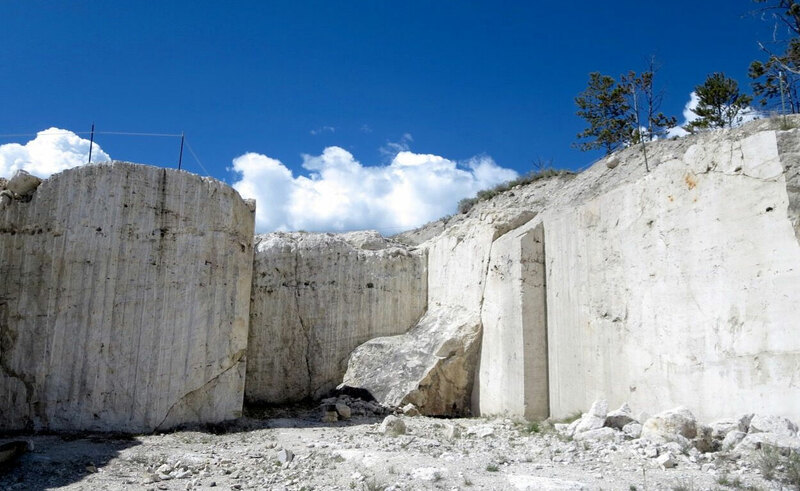 The former quarry above the town of Gardiner, MT has drilled and sawn faces of travertine. Across the valley and outside the park’s boundary lies another travertine deposit. It’s the site of former hot springs that bubbled up out of the ground around 50,000 years ago. That sounds like a long time ago, but in geologic terms, that’s a very recent event. A small quarry, now inactive, sits on the site and allows a glimpse into both the stone and the operations used to quarry it. Smooth walls of cut stone offer a cutaway view of the layering that makes travertine so appealing. Long drill marks show how blocks of stone were split away from the wall. Large blocks have been removed from the walls and invite close inspection, revealing the same thin layers and organic shapes that can be seen over in Yellowstone. From the vantage point of the quarry, you can look down at Yellowstone’s famous entrance arch, and see the bright white of Mammoth Hot Springs glimmering in the distance. Someday the springs at Mammoth will stop flowing and hot water will emerge somewhere else nearby, starting the cycle all over again. The Colosseum is made from Tivoli travertine. Photo by Dan Kamminga, reused via Creative Commons license. The travertine-forming process can happen anywhere that has the combination of hot water and limestone. Major travertine quarries exist in Turkey, Mexico, China, Peru, and Iran. But Italian travertine may have the most compelling history. Fueled by the same geothermal heat as Mt. Vesuvius and the Roman baths, the mineral springs at Bagni di Tivoli have built up an enormous layer of travertine. It’s over 300 feet thick and began forming 200,000 years ago. (Again, 200,000 years is very young; a typical granite is a thousand times older, or even ten thousand times older! 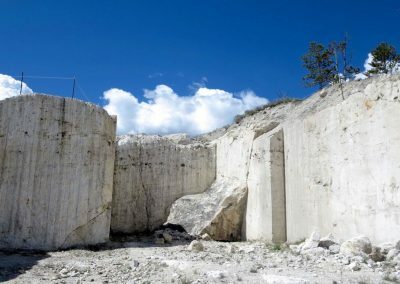 )The Tivoli quarry outside Rome has been producing stone for over two thousand years. In Roman times, Tivoli travertine became the building material of choice because it was locally available and relatively easy to cut and shape. 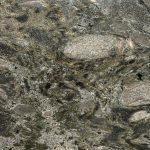 Over generations, the popularity of the stone has persisted, and Tivoli’s vast deposits have continued to supply material for buildings all over the world. 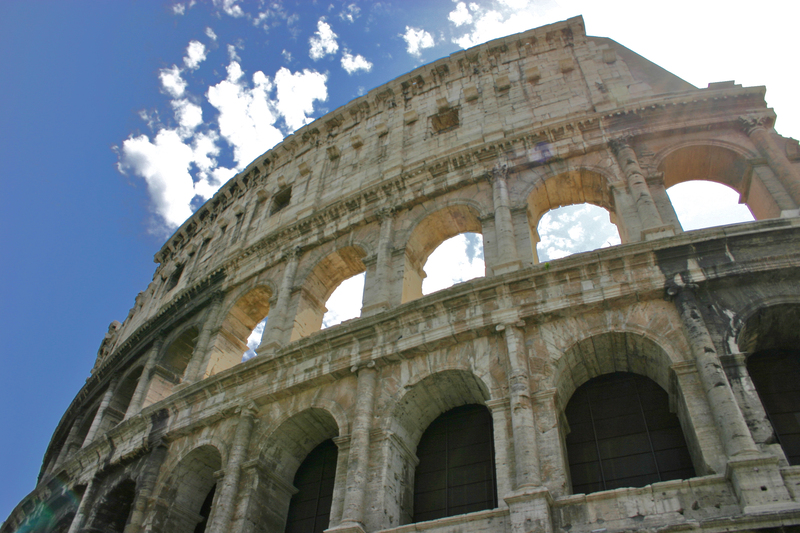 It’s amazing to think that the same travertine used by Roman stonemasons to build iconic structures like the Colosseum is being used for sleek, modern construction today. 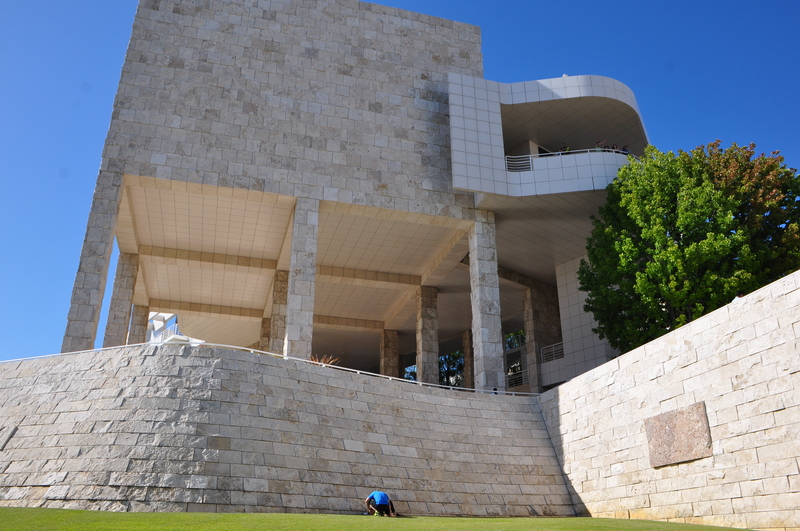 The Getty Center is clad with travertine. This photo shows one of the feature stones, highlighted to show intriguing natural textures of the stone. Photo by ‘Ted,’ reused via Creative Commons license. The Getty Center in Los Angeles, California, is an example of innovative travertine use. The building’s exterior, interior, and floors—290,000 pieces in total—are made of Tivoli travertine. 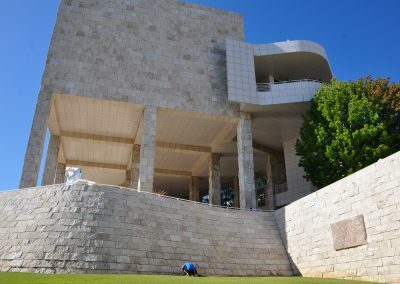 But rather than the traditional “vein cut” stones that are cut perpendicular to the layers, the Getty’s travertine is split horizontally along the layers, as if opening up the pages of a geologic storybook. To further highlight the natural expressions of the stone, the Getty’s blocks are left as rough, cleaved faces, rather than sawn and polished. When especially interesting blocks of stone were encountered in the quarry, the architect, Richard Meier, highlighted them by mounting them in as “feature stones.” Some feature stones reveal fossilized leaves, feathers, and reeds, just like the ones at Yellowstone (no cowboy hats, though!). 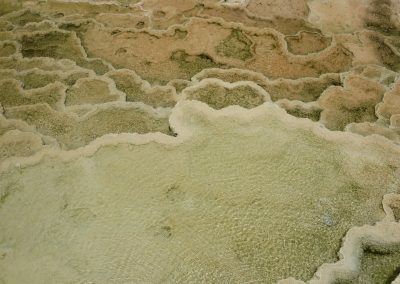 Others show a fibrous texture caused by algae in the hot springs, or gas bubbles encased in calcite and frozen in time. The feature stones are thoughtfully placed in prominent locations to make the building itself part of the immersive, interactive experience. 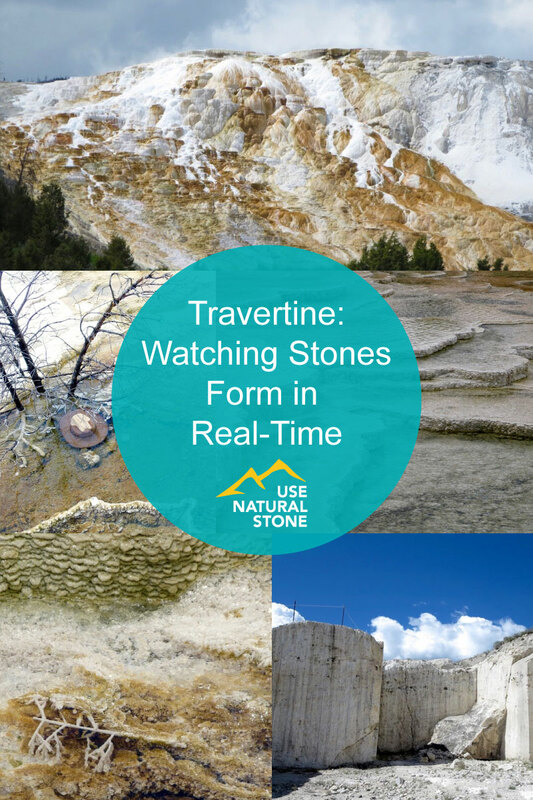 There’s good reason why travertine has been in continuous use for over 2,000 years. The warm hues and soft texture of travertine give it an old-world feel that has never gone out of style and never will. 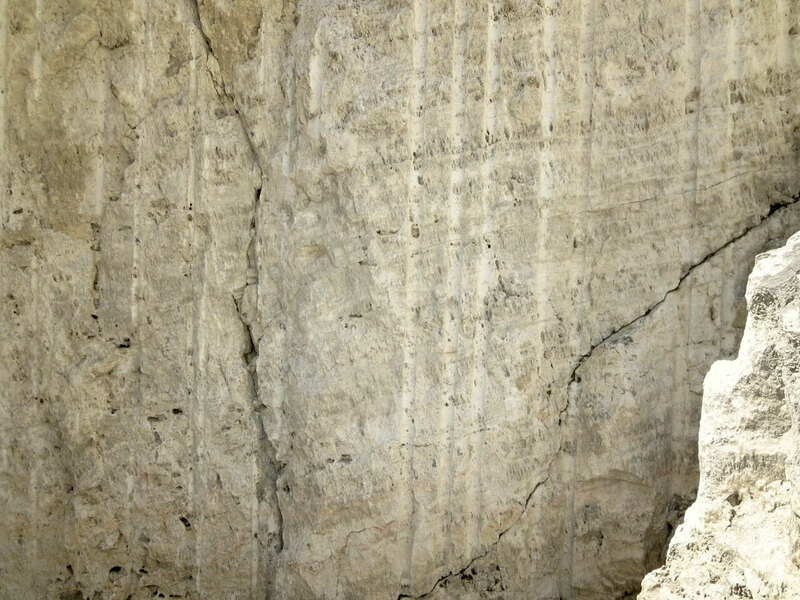 Travertine can be white, cream, yellow, pink, tan, or reddish, all due to small amounts of iron or sulfur in the stone. The porous texture of travertine can be left “unfilled” for visual interest, or it can be filled with color-matched grout to produce a smoother surface. Because of travertine’s high porosity, the use of a sealant is recommended. Travertine has the same mineral composition as limestone and marble, so it shares similar properties. It is around 3 on Mohs hardness scale (harder than a fingernail, but slightly softer than a copper penny), which means that it can become scratched with heavy use. Exposure to acids like vinegar or citrus juice will etch the surface of the stone. 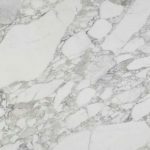 While travertine is not an appropriate choice for a hardworking kitchen countertop, it makes an excellent backsplash for a timeless, traditional kitchen. Travertine is a natural choice for bathroom vanities, wall tile, or flooring. Even in the Getty Museum’s well-trafficked hallways, the floors are projected to last more than 50 years. Travertine cladding or large-format tiles are a beautiful, refined choice for interior and exterior walls, as is commonly seen in commercial buildings, museums, courthouses, and public spaces. Travertine may be a young rock, geologically speaking, but it has already stood the test of time. 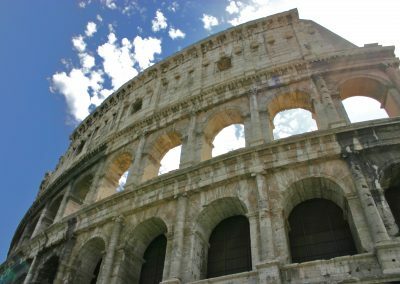 The Roman Colosseum offers an irrefutable testament to its durability—an unlikely combination of old building made from young stones. Mammoth Hot Springs is made up of various springs, pools, and mineral terraces. Photo courtesy of Karin Kirk. 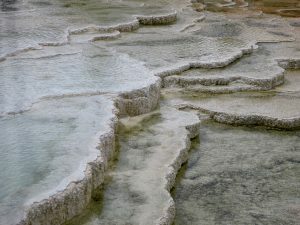 Layers of travertine are formed in small pools of mineral-laden water. 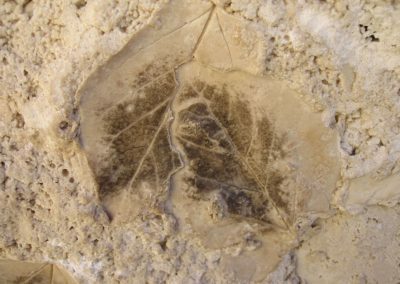 Bacteria that get trapped in the travertine create the lacy pattern that travertine is known for. Photo courtesy of Karin Kirk. Everything in the water gets coated in calcite, creating instant fossils. Photo courtesy of Karin Kirk. 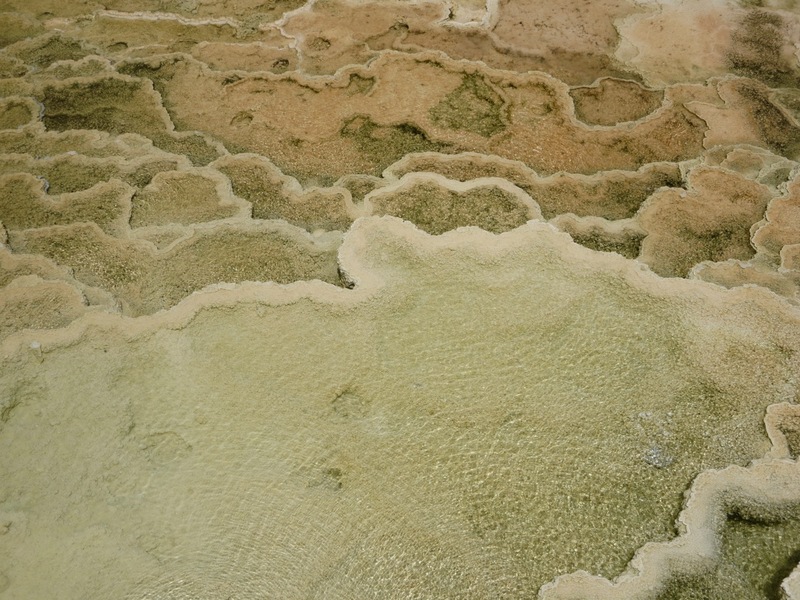 Different colors are caused by heat-loving algae and bacteria living in the hot springs. Photo courtesy of Karin Kirk. Filamentous bacteria thrive in the spring water and create smooth drapes of travertine. The bacteria become entombed in the stone, and when they decompose they leave behind the void spaces that make travertine so intricate and interesting. Photo courtesy of Karin Kirk. 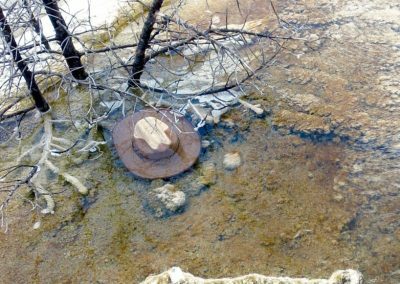 This wayward cowboy hat will soon become part of the fossil record. Photo courtesy of Karin Kirk. 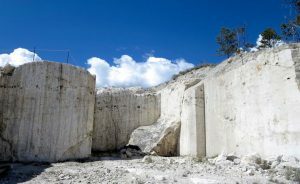 The former quarry above the town of Gardiner, MT has drilled and sawn faces of travertine. Photo courtesy of Karin Kirk. 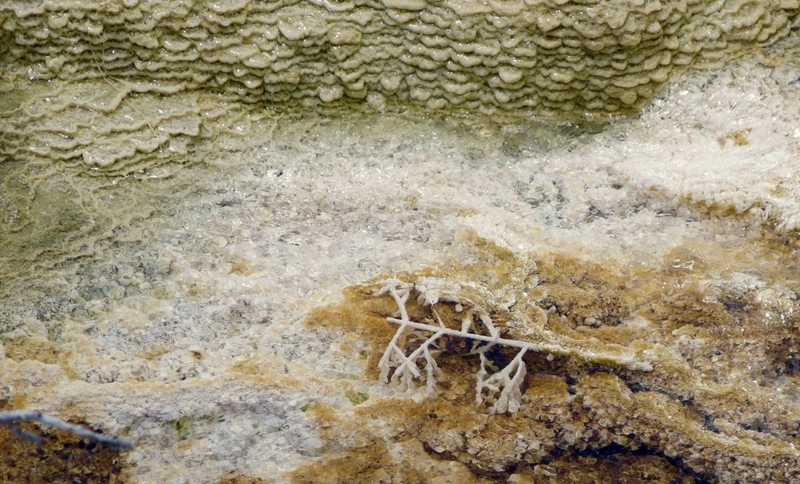 Close up of the porous texture of travertine in the Gardiner quarry. Photo courtesy of Karin Kirk. Read more about the history of travertine in Stories in Stone: Travels Through Urban Geology, by David B. Williams.